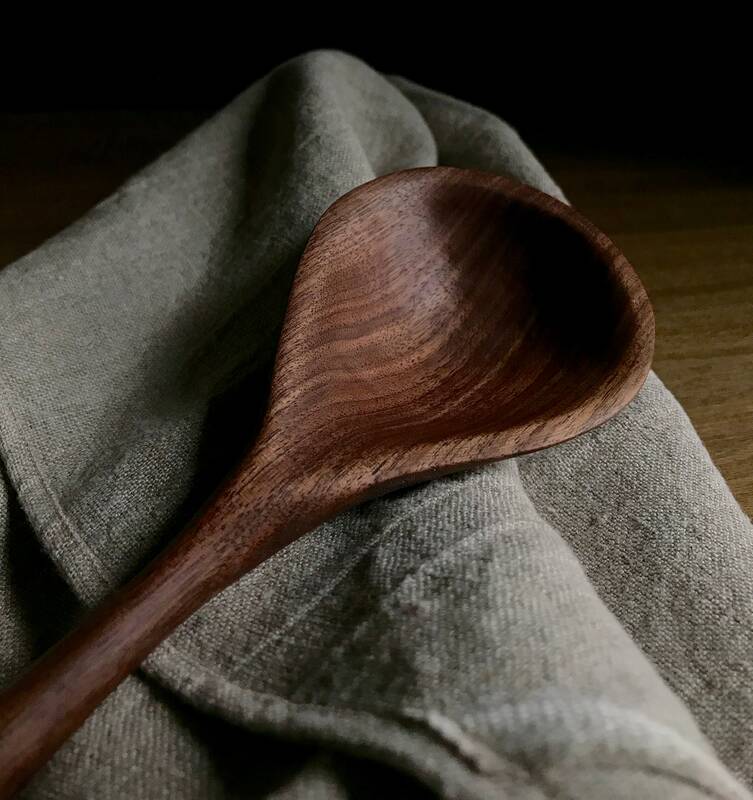 Hand carved black walnut spoon. 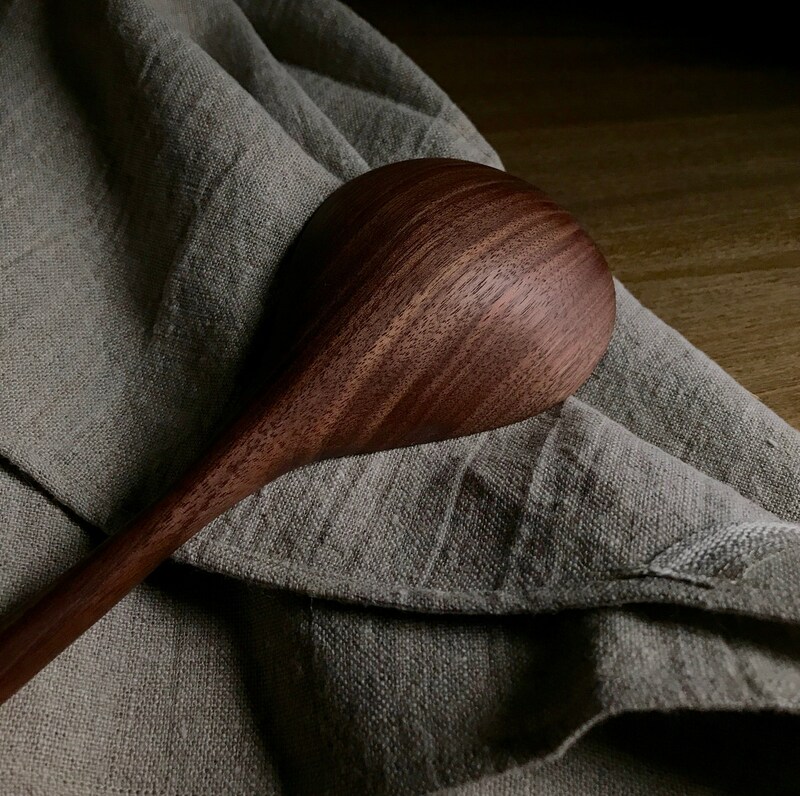 This spoon was soaked to raise the grain of the wood, then sanded. I repeated the process eight or nine times, increasing the grit of the sandpaper along the way. 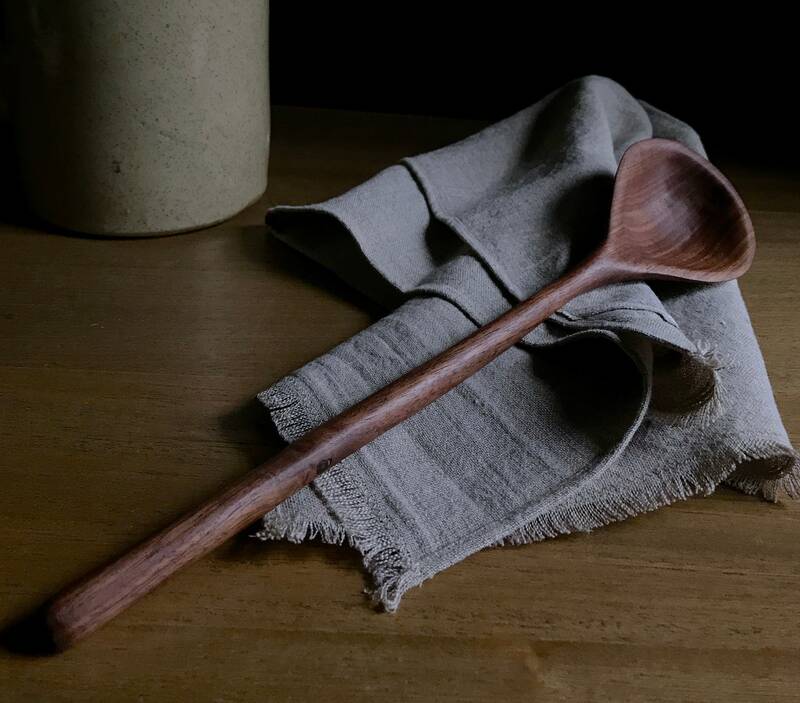 I finished the spoon with a natural, food safe, organic coconut oil and locally sourced beeswax wood butter that we make here. 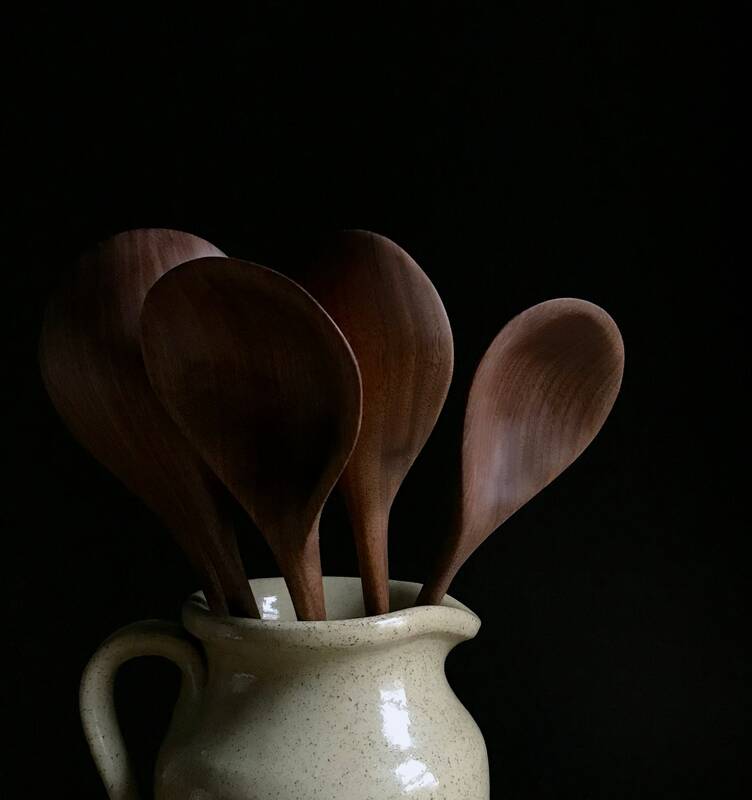 Listing is for one spoon. 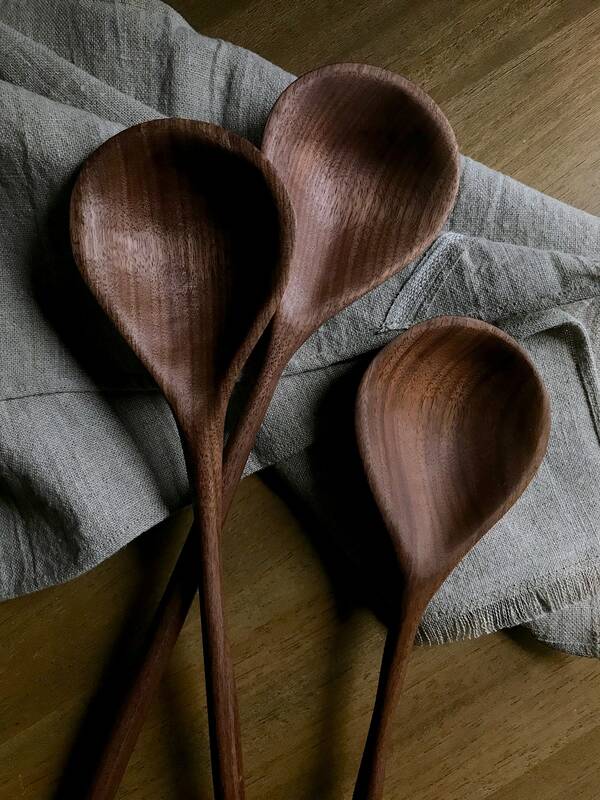 All the spoons in this listing were carved from the same piece of wood. The grain may vary slightly.